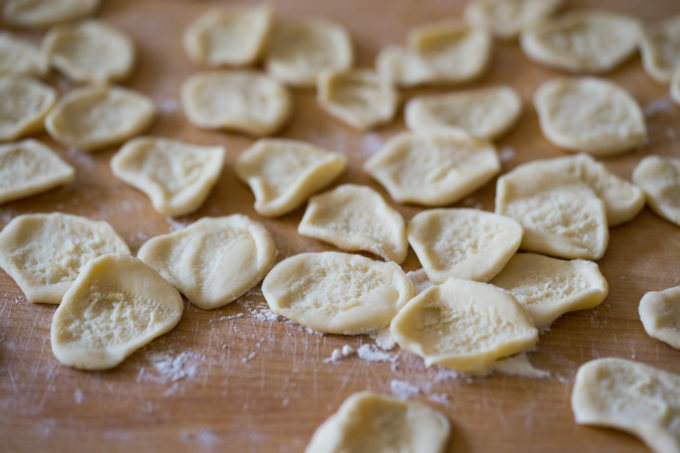 Strascinati are pulled pasta shapes popular in southern Italy. 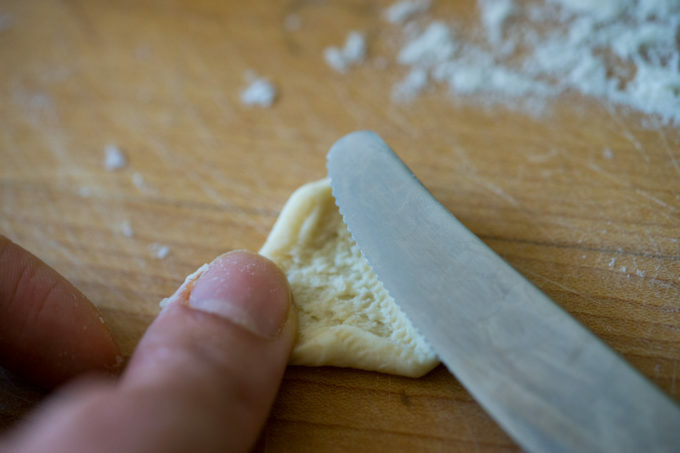 They can be pulled over grooved boards or baking boards using a knife, iron or fingers. 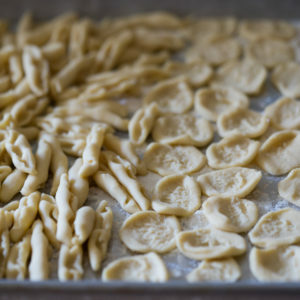 Orecchiette (particularly popular in Puglia) and cavatelli are the two most popular shapes. 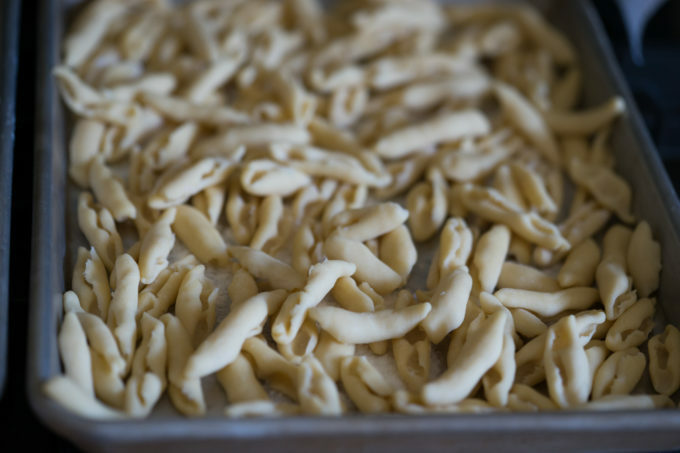 Cavatelli in Calabria may also have potatoes added while in Campania, they add eggs. 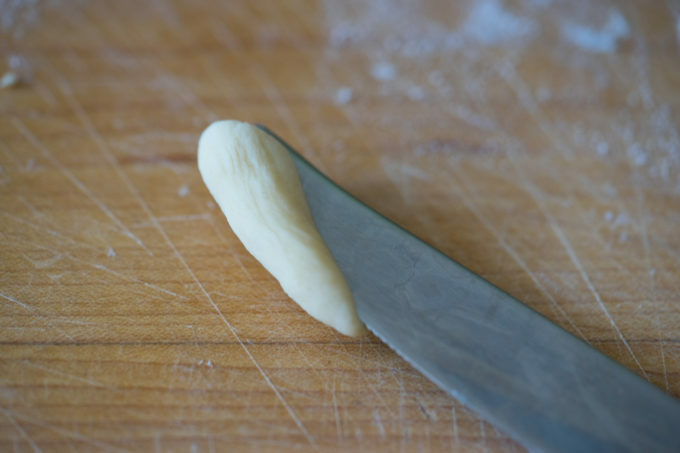 Types of cavatelli may also be grooved with a needle. 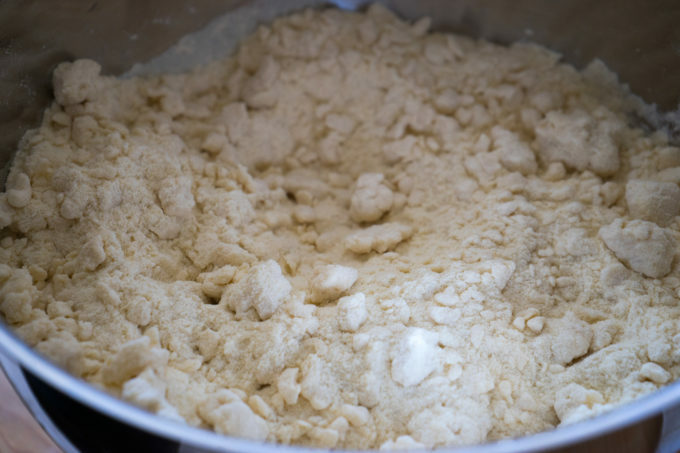 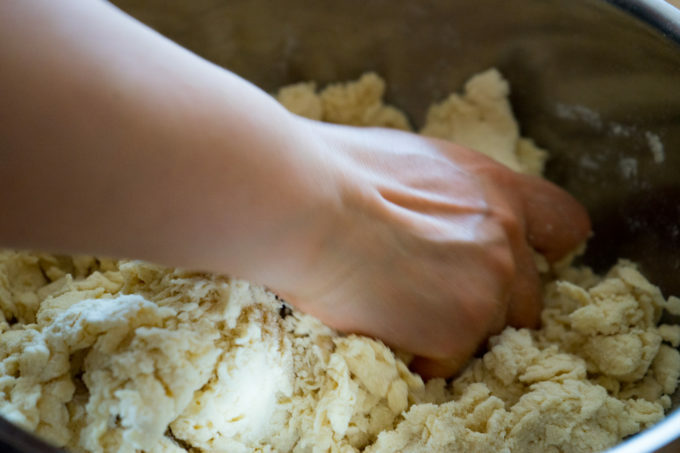 Mix the water and flour together in a bowl using your hands until the flour has absorbed the water and starts to come together. 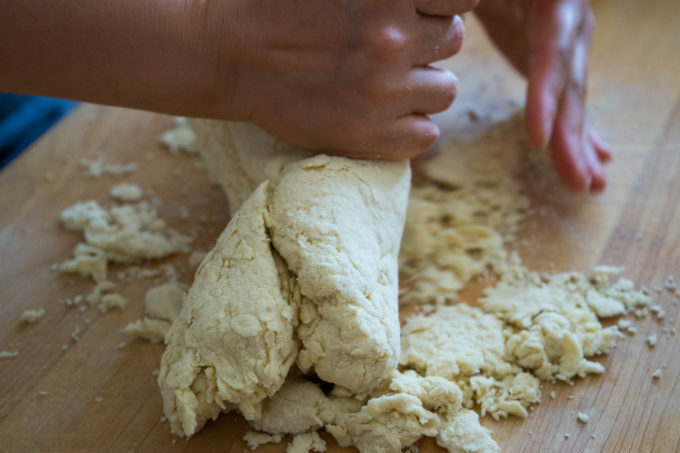 Turn it out onto a board and keep bringing in the dough until it forms a ball of even texture. 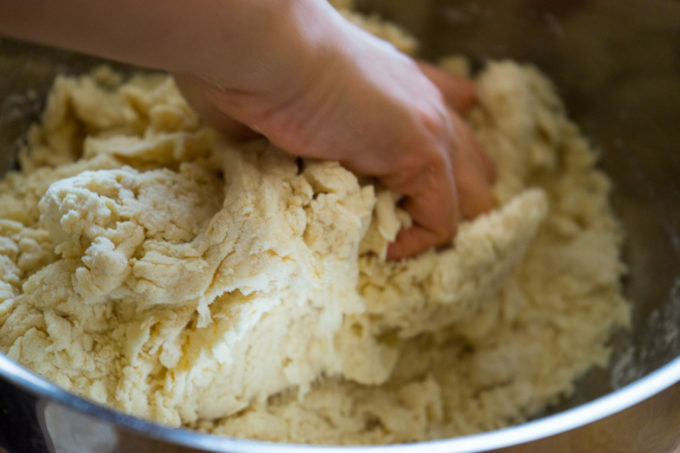 Cut off handfuls of dough at a time, keeping the rest under cling film. 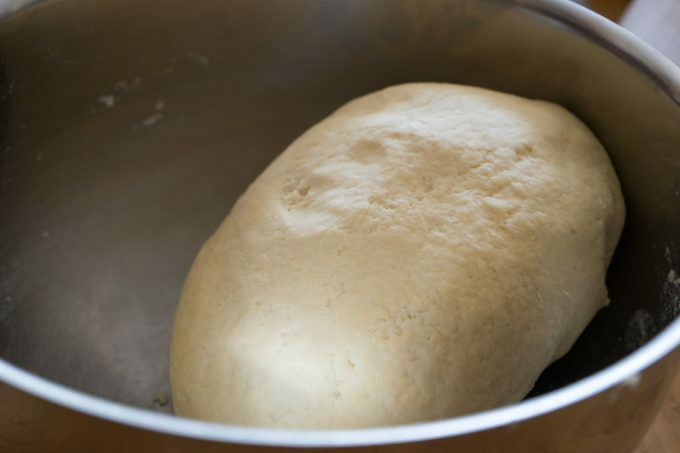 Roll the dough into cylinders 1.5 cm thick. 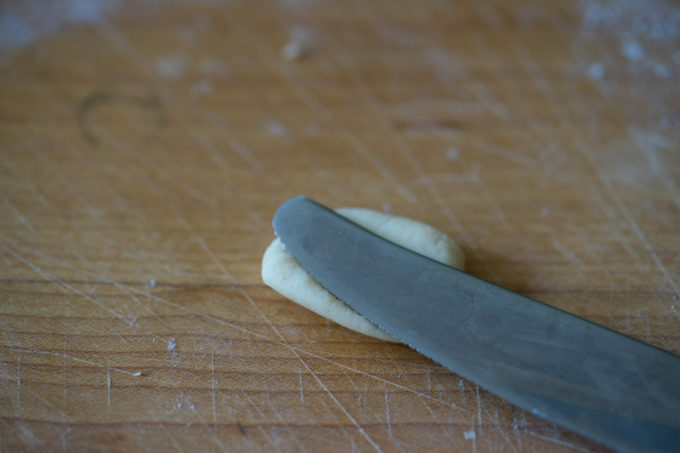 Cut into pieces 1.5 cm wide. 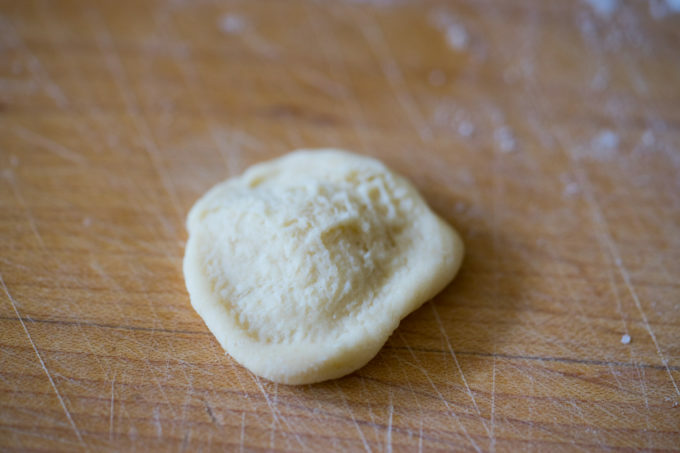 To make orecchiette, use a knife tip to smear the pasta along and then slightly turn inside out. 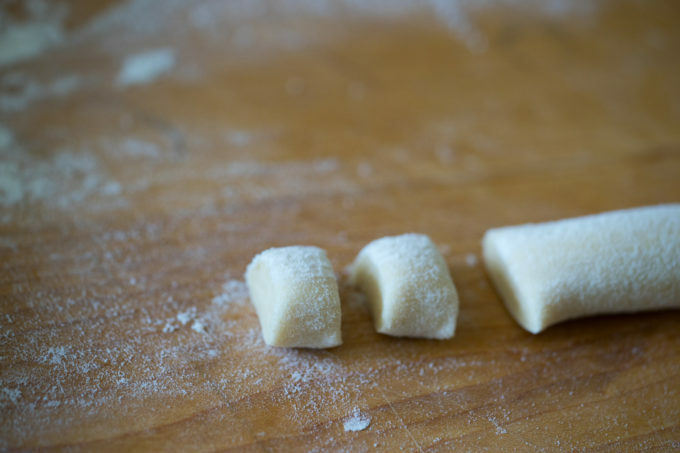 To make cavatelli, roll each piece into a smaller cylinder, about 8 mm thick. 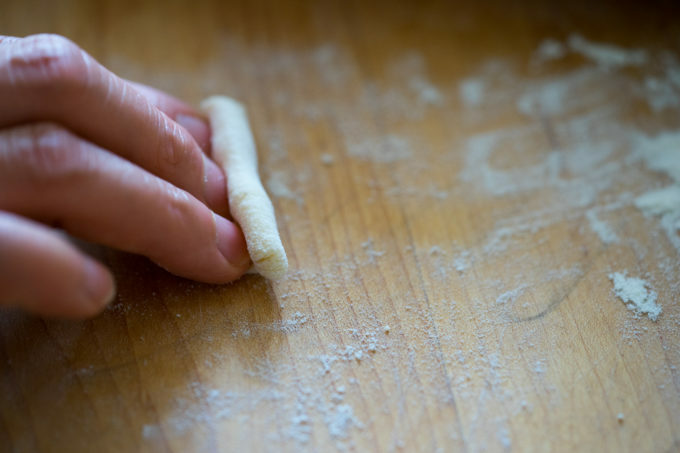 Use 2, 3 or 4 of your fingers (cut the pieces longer if you are making longer cavatelli) and press down on the pasta, smearing it towards you to create the indentations needed.